Last year, my husband & I decided to go to a Halloween party last minute. Of course we had no costumes. (well, I actually have a box of costumes but they are in my friend's garage across town because we have no storage in our city apartment!). Anyways, if you have no costume, you can still look festive on Halloween! Buy some face paint. 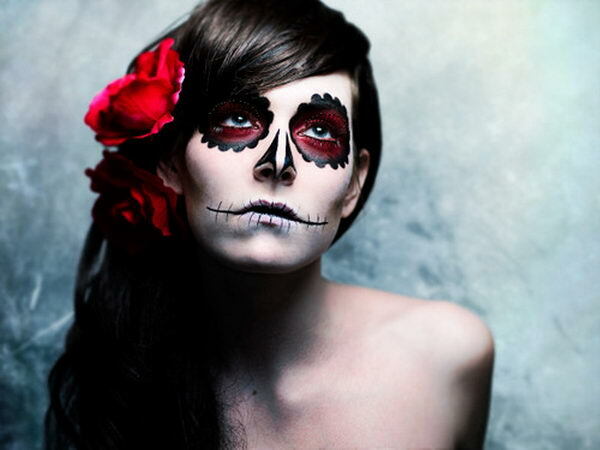 Look online for images of Dia de Los Muertos makeup. Here's how mine turned out. I threw on a black hoodie and leggings & it worked! 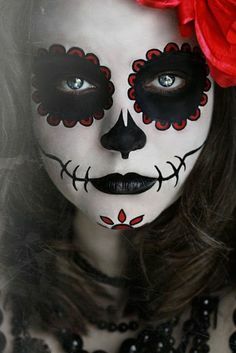 Many places are now doing this makeup professionally. I also like the look with flowers in the hair. Some other inspiration ideas for you below.